Enhanced performance, enforcement and management with Cisco and ExtraHop. Complementary solutions from Cisco and ExtraHop help you enhance and optimize security policy enforcement, branch-office application performance, and application management on-premises and in the cloud. 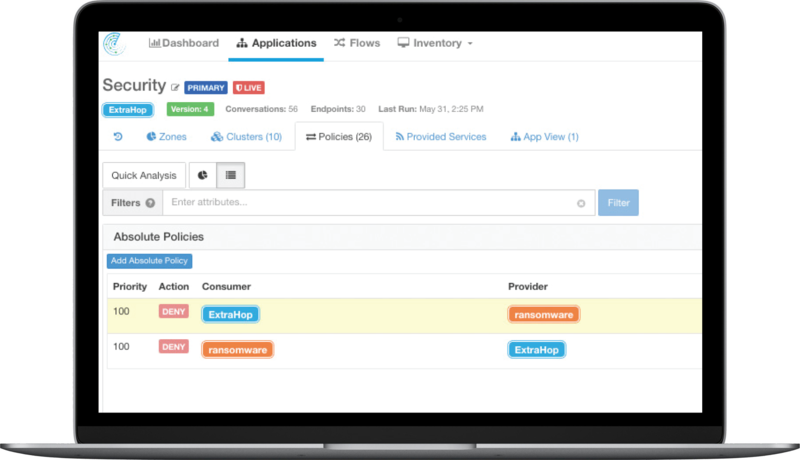 The ExtraHop platform delivers instant, accurate insight across the entire application delivery chain by leveraging the network as a real-time data source. Combining application layer visibility and an analytics-first workflow with Cisco systems and analytics allows you to take control of the digital infrastructure like never before. ExtraHop integrates with Cisco Tetration to deliver real-time insight from L2 to L7, empowering IT and simplifying zero-trust implementations. 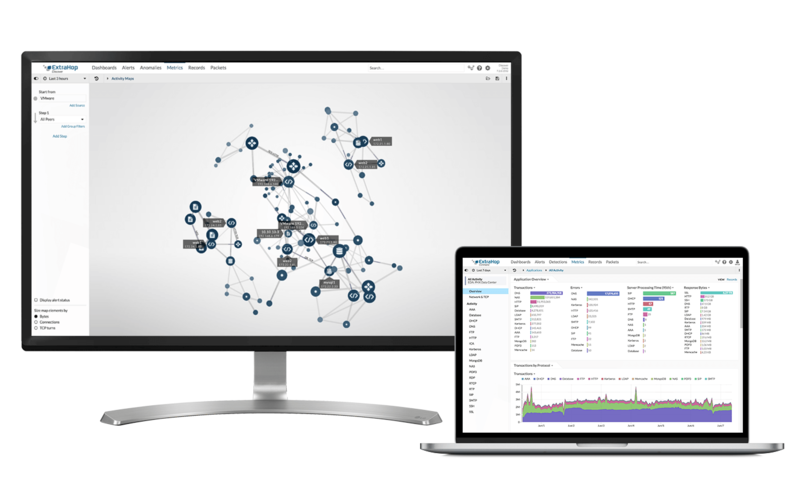 Real-time network traffic analysis helps you develop comprehensive, data-driven security policies and micro-segmentation plans. Machine learning detects anomalous network behavior and automatically triggers enforcement policies, providing all teams with real-time context and visibility across the application delivery chain. Tetration and ExtraHop combined give you the power to easily, rapidly address the following and more. The powerful combination of Cisco Tetration and ExtraHop provides customers with a high degree of network security and manageability. IT and security operations teams now have the visibility they need to understand the who, the what, and the where, and automatically enforce crucial security policies based on that real-time insight. The Cisco UCS and UCS-E enable IT organizations to cost-effectively run mission-critical applications and core services at the branch office while centralizing other corporate applications in the datacenter. ExtraHop delivers real-time analytics across the application delivery chain, helping IT teams effectively monitor and manage the performance of the virtualized applications running on the Cisco UCS and UCS-E.
For IT organizations running Citrix-based virtual desktop infrastructure (VDI) with the Cisco UCS and UCS-E platform, the ExtraHop system provides real-time insight into end-user experience in the branch office. Verified as Citrix Ready for Citrix XenDesktop and XenApp, the ExtraHop system analyzes ICA transactions as they pass over the network and extracts valuable health and performance metrics. Read about the ExtraHop and Citrix technology partnership.